No other app makes us feel like we’re living in the future quite so much as Google Lens. Google Lens turns your phone’s camera into a sort of visual search engine: with Google Lens, all you need to do to get more information about the world around you is point your camera at it! From architecture to plants and animals to clothing, Google Lens allows you to input the entire world into the Google search bar. And beyond just providing information, Google Lens gives users a straightforward way to shop for clothing, accessories, or furniture by finding items that are visually similar to the ones they see in real life, which promises to change the game for retail sales. 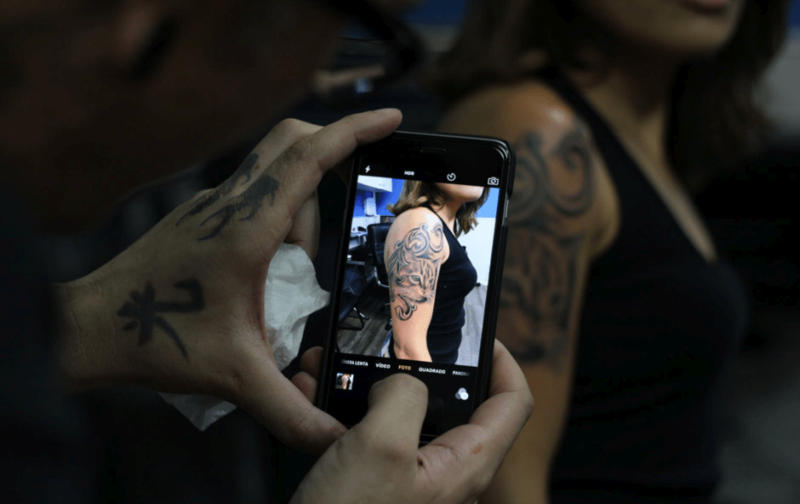 Tattoos are very long-term commitments, and deciding to get one is a choice that takes a lot of thought—but this AR app makes it a lot easier to make up your mind. Ink Hunter lets users render a realistic version of their preferred tattoo on their body through their phone in order to get a better sense of what it would look like in real life. Ink Hunter stands out as a perfect example of modern AR technology being put to use to solve an ages-old problem: will that Led Zeppelin tattoo look as cool on my arm as it does in my imagination or not? In the world of medicine, SNAP is making a splash. SNAP is a groundbreaking AR app that allows physicians to take their patients inside their own anatomy to demonstrate where and how surgeries will take place. Doing this lets patients feel more comfortable with procedures and allows surgeons to create more in-depth surgical plans. Don’t be surprised if this particular technology becomes commonplace over the next few years! AR isn’t going anywhere, and if your business wants in on the action, working with the right developer can take your ideas to the next level. Companies like Guaraná Technologies — who are passionate about leveraging cutting-edge tech and eager to work with you every step of the way during the development process — will give you a leg up on apps that come out of big app factories. AR is set to be a very big deal in coming years, but you’ll want to make sure that the developer you work with understands your app and the place AR plays in it, instead of just cramming a useless AR function in willy-nilly. Advances in AR technology are exciting—so use them to get people excited about your app!